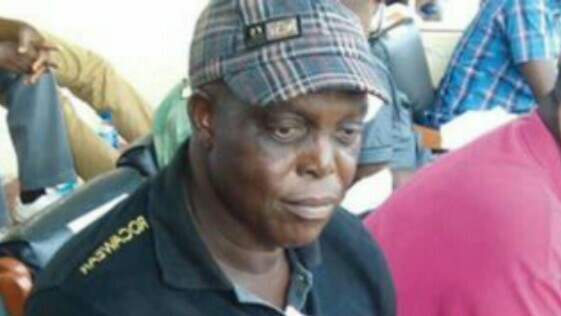 The coach had been having a running battle with the NFF over its refusal to pay his match entitlements, and salary arrears of the rest of his coaching crew, which ran into $28,750, out of which, $12,000 belongs to Izilien. This is aside the sum of N4 million owned the coach. Things got messier a few days ago, when the NFF began the process of clearing wages owed to national team coaches, and Izilien’s name was not listed, as his files could not be traced according to the chairman of NFF Technical Committee, Chris Green. However, at a reception held by the people of South South for the NFF President Amaju Pinnick, inside the Festival hall of the Government House, Benin City on Friday, Pinnick announced that his administration would settle Izilien’s outstanding wages seen soon. Coach Izilien, who was full of appreciation to the NFF boss, while narrating the story to The Guardian yesterday said: “I was so excited when Amaju (Pinnick) announced that he would make sure I get my money very soon. Everybody inside the Hall, including Governor Godwin Obaseki stood up to salute Amaju for that statement. Meanwhile, Governor Obaseki has praised Pinnick on his bravery and energy, which have shot him into reckoning in global football administration, while also challenging the NFF boss to fly the country’s flag with distinction in his new roles. “There is no doubt that your courage and enterprise are worthy of emulation by persons seeking to break new grounds in their chosen career. You toiled very hard and never shied away from committing to your vision even in the face of daunting odds. “I am delighted that you have risen so high in global football administration in such a short time. But I want you to keep a level head and represent the country diligently and selflessly. It is also important that you ensure we have more Nigerians in FIFA and CAF,” he said.Obaseki also charged the NFF boss to use his position to correct certain wrongs in the administration of football in Nigeria and at global level.